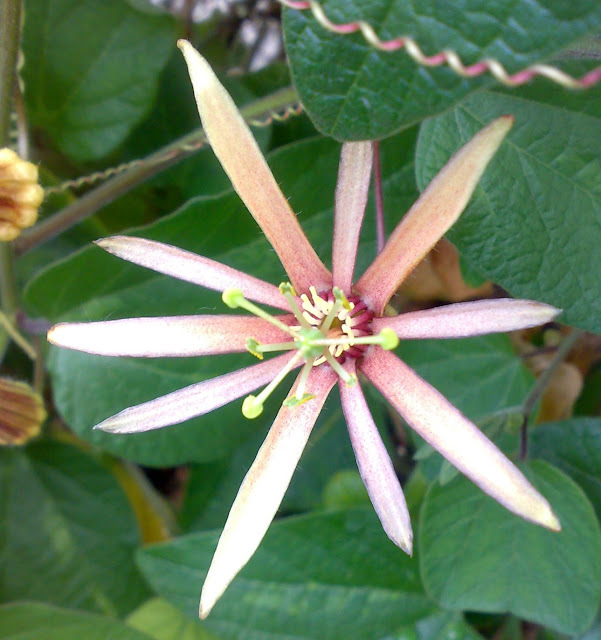 The Moonstone coloured Passionflower. 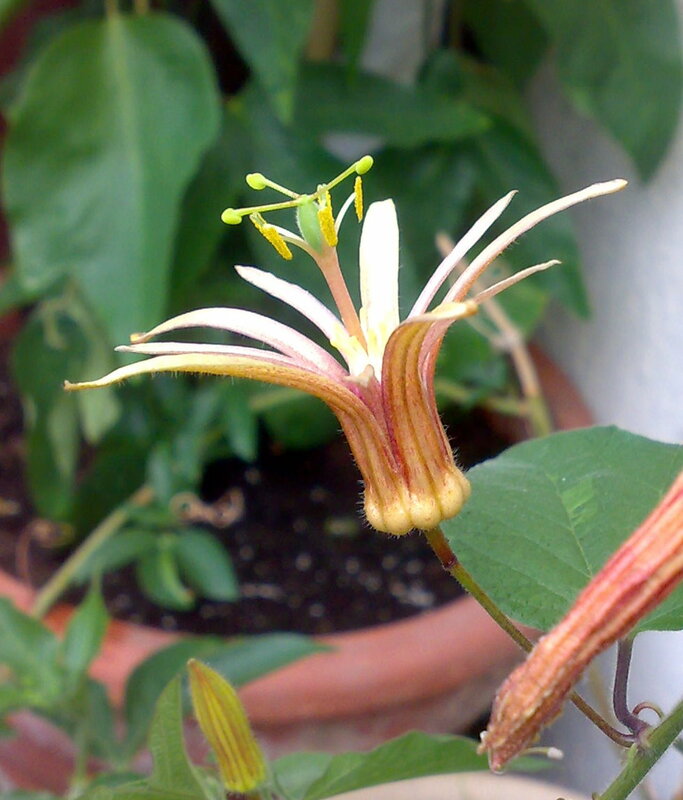 It is a hybrid between Passiflora citrina and Passiflora sanguinolenta. 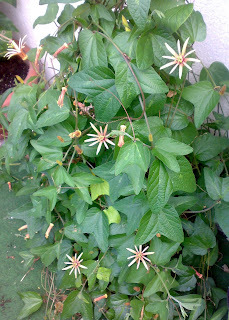 The hybrid including its flowers is bigger than its parents but otherwise it is exactly in the middle between the two parental plants. 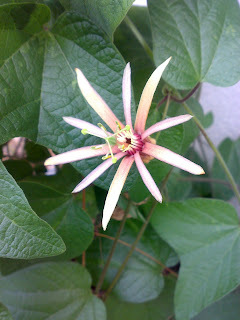 For more than 20 years I have a passion for Passiflora/ Passionflowers. I like their vigorous growth and their versatility. Over the years I have had many different ones but in periods when I had little time I lost most of them. But this one is very faithful and many years old. 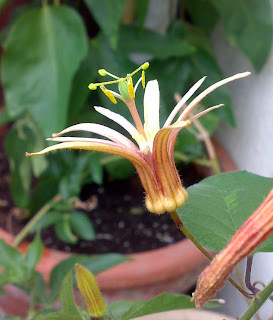 I have raised her from a seed, when I pollinated P. sanguinolenta's flower with pollen from P. citrina. The original P. 'Adularia' was created by John Vanderplank, a well known Passiflorist who did this cross first.